If you’re a new sales leader wanting to make an impact and enjoy sales success, follow this 3-month journey plan. The average tenure of a sales leader/director/VP/Manager is short, some say as little as 19 months. I can find no hard evidence of this, but my experience and consensus across otherwise reliable sources indicates 19-24 months. Therefore, to beat the average (and we’re all above-average, aren’t we? ), you need a good strategy to get to grips rapidly with your new responsibilities. The beauty of this 3-month journey plan is that it’s logical, simple and effective. That said, sometimes it’s difficult to stick to the deadlines when there are so many people to meet and so much new information to absorb. And that’s before the day-to-day pressures of the sales leader role kick in. The First 30 Days: Where Are You Now? Dig around the data, everything that’s there. Ask for reports that you feel comfortable with, not just what’s been done in the past. Get a strong picture of the health of the sales performance. 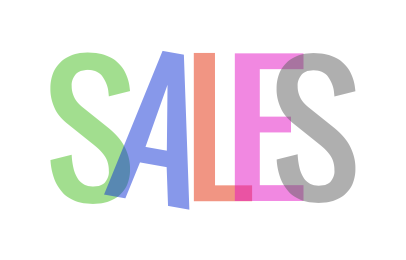 Have sales been ‘bought’ with deep discounting and year-end incentives? How much is reliable repeat business? Do customers stick with you for long? Your people are your greatest asset but also will no doubt present the greatest challenge for the new sales leader. Get your new team together early and give them each an opportunity to present the health of their business. Don’t give too much of a brief here, let each use their own initiative and see if they know how to collaborate. Find out also if their priorities are consistent and match those of the company and you. It’s also worth looking for attitude variations between the team. Who’s supportive, who’s not? Hard workers or satisficers? Finally, how well do your new team fit with the rest of the organisation? 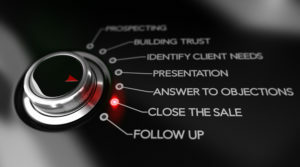 Can you identify a defined sales process and do you see it in the pipeline report? What is the total amount in the pipeline over the next 3/6/12 months? What’s the win/loss ratio? Has it changed over time? Are there any inconsistencies with the distribution of opportunities by pipeline stage or by product? Is it front/back loaded? Is there a ‘hockey stick’ in the forecast with nothing coming in until the end of the year? Are you identifying and closing sales at a rate sufficient to hit target? What is the conversion rate from the first stage to the last stage of the pipeline? And how long is it taking? How easy is it to do business with your company? Are your sales and order processes aligned with both business objectives and customer needs? How efficient are internal processes? How much effort is required to make a sale and can this be streamlined? To what extent are your team pushing for new business? Are they spending sufficient time on new opportunities or focused mainly on existing accounts? Make sure you meet customers from day 1 and don’t just look at how well your team sell to them. In a competitive world, you need to know how well your business is regarded by your customers. This is probably the best chance you’ll have to obtain this information honestly from your buyers. Worth looking at your business from a competitive perspective here too, if you didn’t before you accepted the job. Which way are sales/margins heading in your industry? Do you have the right tools and support mechanisms in place to enable your team to deliver expected levels of sales? Look at the CRM and other systems used. Are they up to date and appropriate? Consider marketing and sales support collateral. Is it (good) enough? Are skill levels sufficient across your team? Where are the gaps? Month 2: Where Do You Want to Go? In your second 30 days, you should be setting the vision for a new direction, injecting some pace and starting to bring your new team along with you. Use everything you learned in the first phase of your journey plan as evidence in support of your new vision. All sales leaders need to set a vision, so the sooner you can do this, the better. Vision: Describe your vision of the future for the sales organisation within your business. Where you’re going, how it’s different from current circumstances and why change is important now. Strategy: Develop and document your strategy for delivering that vision. Look at the value proposition you have in place for each customer type. Consider the ways in which it can be communicated and how you differentiate yourselves from the competition. Objectives: Set immediate objectives. Which are the most critical targets or activities on which you want your sales team to focus? Now’s the time to drive changes. Once your vision has been accepted by senior colleagues and your team, you can get to work making it happen. Obviously, the changes will need to reflect your circumstances, priorities and budget. Whatever happens, make sure that changes are made, even if you must start with the easier-to-implement ones for the sake of expediency. The key here is to act like a whirlwind, drawing in all around you and making sure you move together. While I recommend that you invest time and energy in all three phases, your allocation to each will vary according to circumstances; your team’s condition, market conditions, and your company’s infrastructure. removal of obstacles that detract your team from creating value.